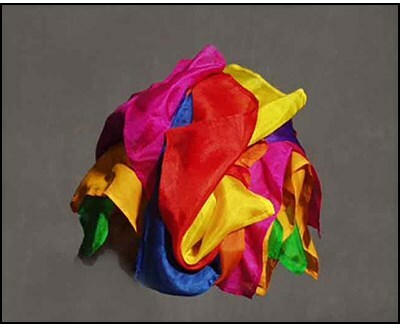 The magician displays an 18-inch silk handkerchief, showing both hands empty. He places the silk over his left hand and when he whisks it away another silk has appeared! The magician then gently shakes his hand, causing more and more silks to continue appearing, blossoming out of his hand!